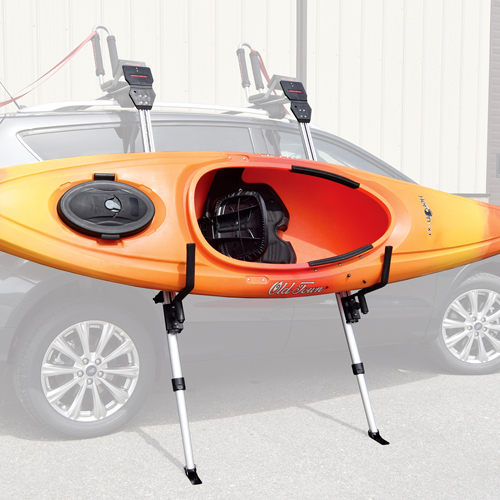 The Malone Telos XL Kayak Loader Assist Module temporarily attaches to the following Malone kayak carriers: SeaWing, AutoLoader XV, J-Loader and DownLoader J-Cradles. 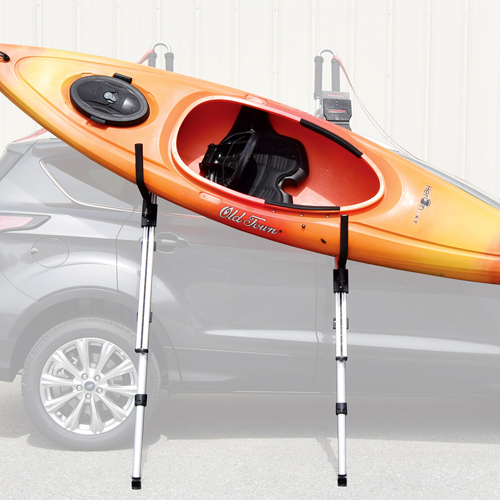 The innovative Malone Telos XL Kayak Loader Assist Module hooks to the integrated boarding ramps on the DownLoader, J-Loader and AutoLoader to help vertically lift your kayak into a position where it can be slid into the Cradles. 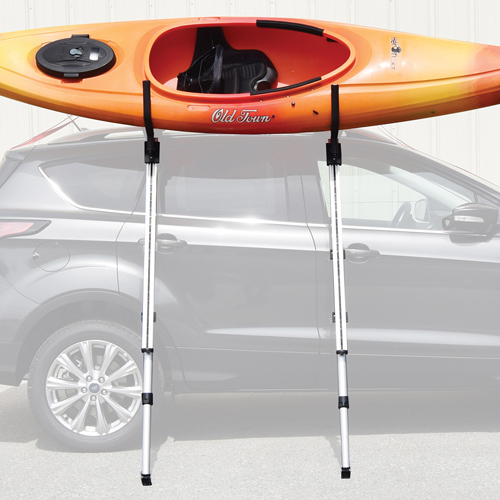 This drastically reduces the effort required to load and unload your kayak from your roof rack. 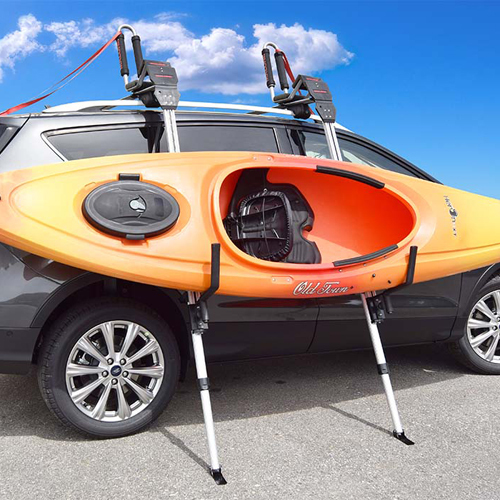 If you're carrying 2 kayaks, you can quickly detach the Telos XL and move it on the other side of your vehicle. 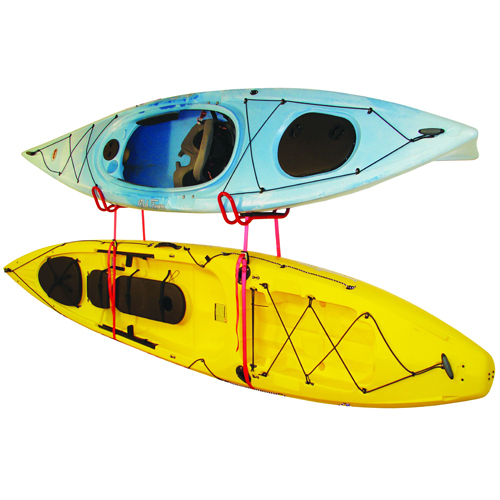 The Malone Telos XL Frames include a self-locking, safe, effortless-to-use ratchet system, integrated padded kayak cradles, and extension legs which rest against the ground for added stability when loading and unloading. Plus, support to the ground means no contact with your vehicle. 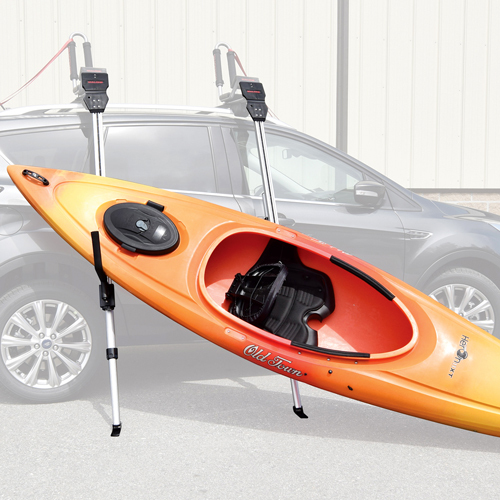 The Malone Telos XL Kayak Loader Assist Module easily stows in your vehicle when not in use. 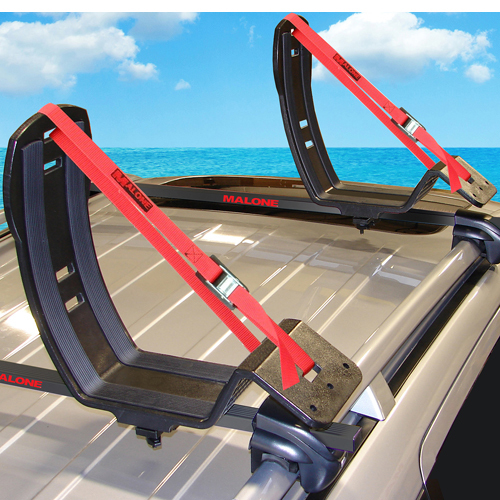 Malone SeaWing, AutoLoader XV, J-Loader and DownLoader J-Cradles are sold separately (see below). 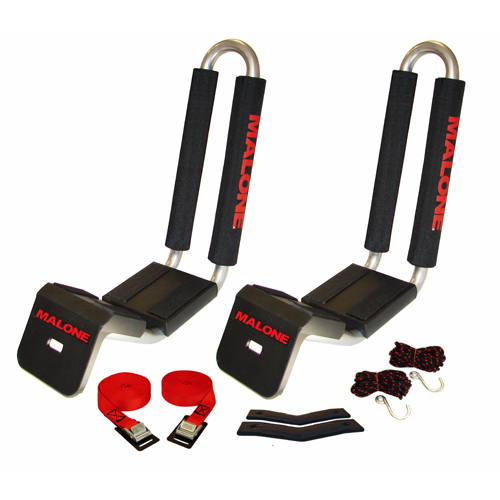 "I recently purchased this load assist module to use with my Malone Downloader racks. 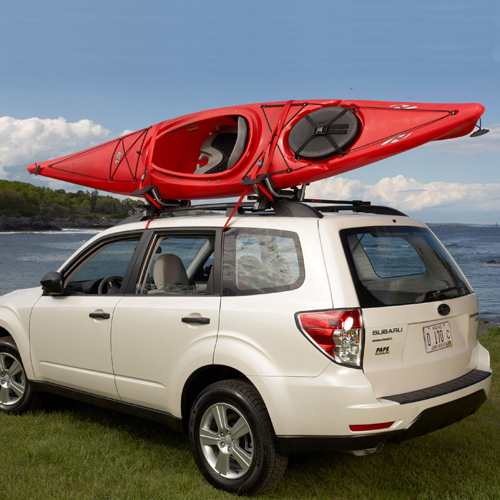 Sometimes my husband isn’t around and it’s nice for me to be able to get my kayaks on and off the car by myself. I was hesitant to purchase the previous incarnation of this product which used suction cups that attach to the side of the car for fear of dents, scratches, etc. The new Telos XL has legs that extend all the way to the ground and avoid this. I have found it easy and effective to use but make no mistake, it is truly a lift-assist in that it doesn’t do all of the work for you. However, lifting part of the weight of the kayak in small increments is very manageable and has given me the independence to go off kayaking by myself. The ratchet does make some noise and as one previous reviewer mentioned, it does occasionally draw curious kayakers with questions which I am, of course, only too happy to answer. I highly recommend this product!